If you like something more modest and are also satisfied with less space and a small bathroom, you can save money with "our lodge" and still enjoy the comfort and atmosphere of our seaside hotel right on the sea. 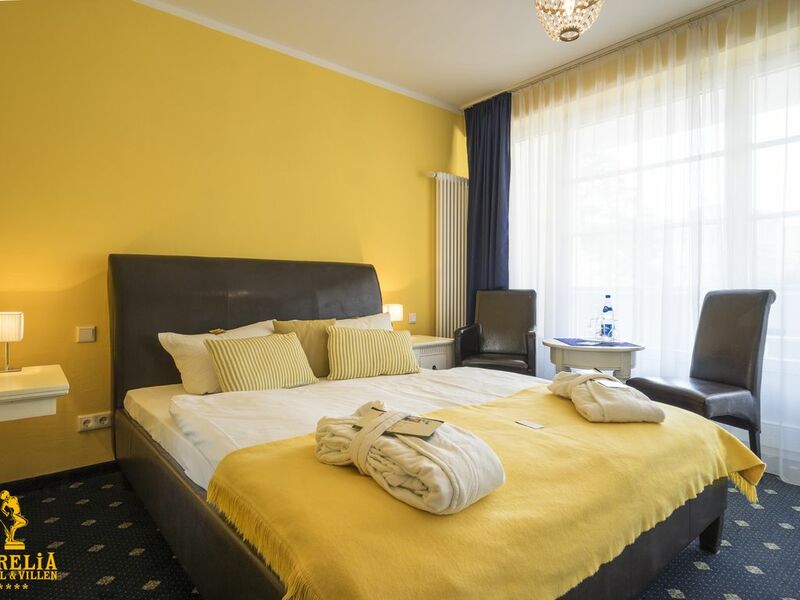 The rooms are equipped with everything that our standard double rooms include - comfortable double bed, chair, table, bathroom with shower, TV, a cozy bathrobe - but are a bit more compact and good as a double room for single use. But for all of us: our colonial-style interior design with chandeliers, mirrors, thick carpets and fine leather spreads a cozy feel-good atmosphere.